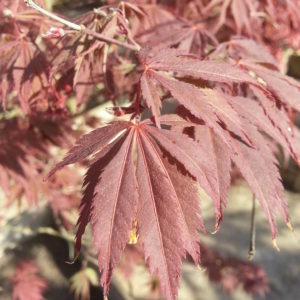 Despite its delicate appearance, ‘Seiryu’ Japanese Maple is a strong and hardy ornamental. 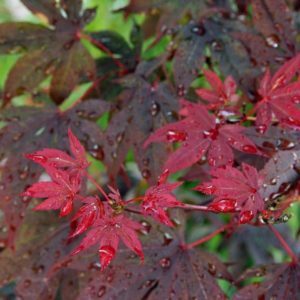 Earning the Royal Horticulture Society’s Award of Garden Merit, ‘Seiryu’ forms a small upright vase shaped canopy with deeply laced foliage in bright green with reddish edges. 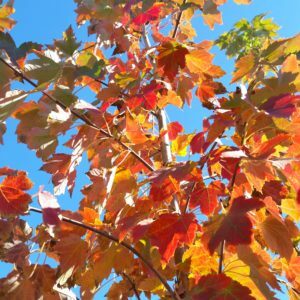 Turning fully green in summer, then transforming to shades of burgundy and red in the fall. Putting on a spectacular color show, ‘Seiryu’ is the only laceleaf Japanese Maple to grow in an upright shape. 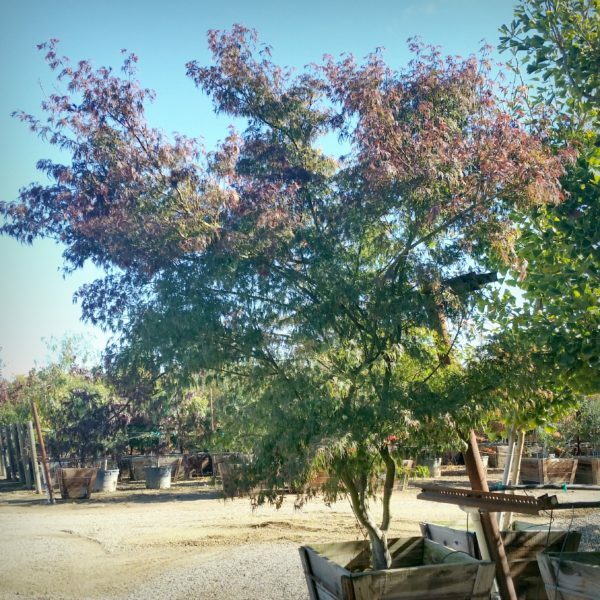 Preferring acidic soil and protection from hot afternoon sun and drying winds to protect the appearance of its fine lacy foliage. 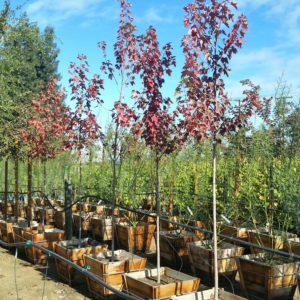 Categories: Deciduous Trees, Ornamental Trees, Sidewalk Friendly Trees, Trees, Trees By Size, Trees by Size: Small (20' and under). 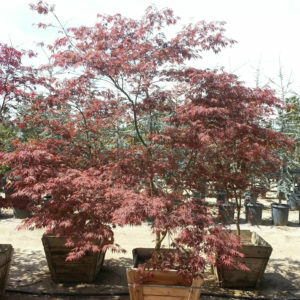 Tags: Acer palmatum, Asian Garden, Award Winning, Bonsai Tree, Burgundy Leaves, Deciduous, Fall Color, Japanese, Lace, Laceleaf Maple, Lacy Foliage, Orange Leaves, Patio Tree, Red Leaves, Upright Vase Shape, Yellow Leaves. 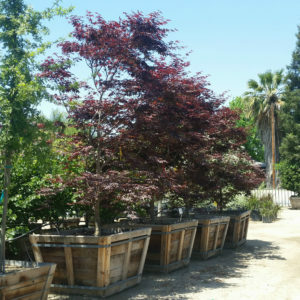 Your one stop nursery specializing in superior landscape trees, shrubs and soil amendments. © 2019 · MID VALLEY TREES | ALL RIGHTS RESERVED | WEBSITE BY OUTLAW CONSULTING GROUP, INC.